This tour is not suitable for children under the age of 4 years. BYO alcohol (no glass or red wine) for the boat only. 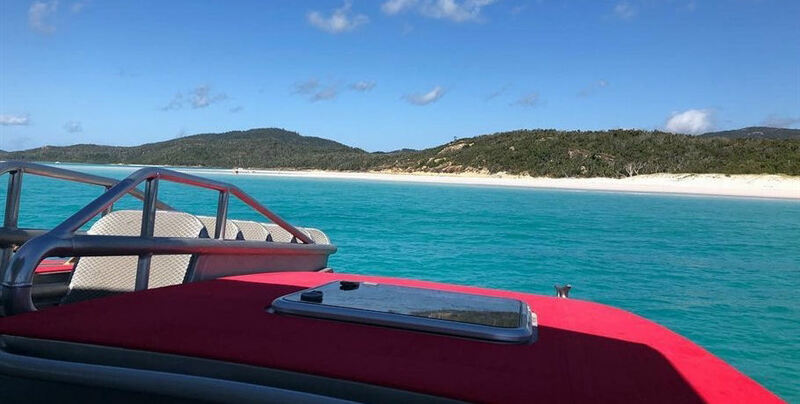 Thundercat is an exhilarating experience with 600 horse power under the bonnet to whip you around the Whitsundays Islands in speed and comfort. The vessel has been custom designed for speed and stability with its multi-hull configuration. This is the perfect vessel for passengers whom are concerned about getting sea-sickness. 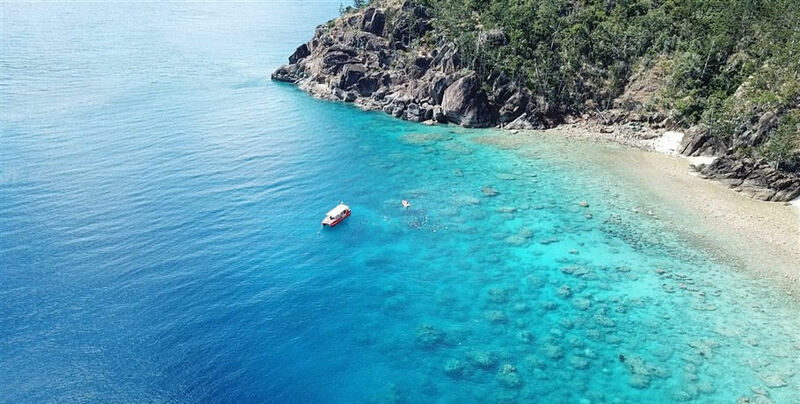 Ideal for all types wanting to see the Whitsunday Islands in a short amount of time available. 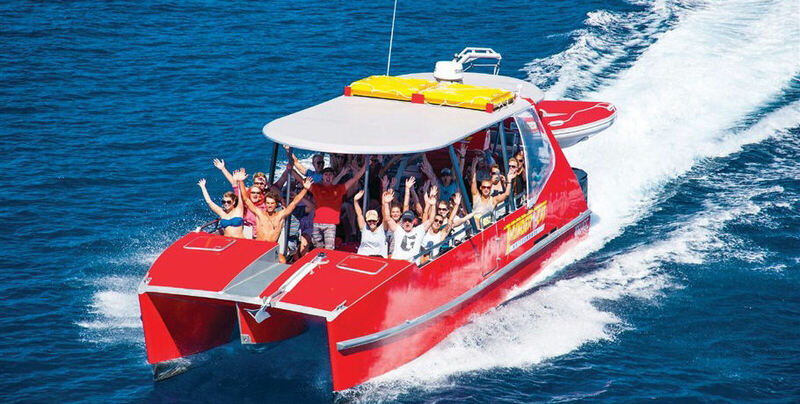 The unmissable Thundercat sea-raft boasts an incredible experience through the azure waters of the Great Barrier Reef Marine Park. 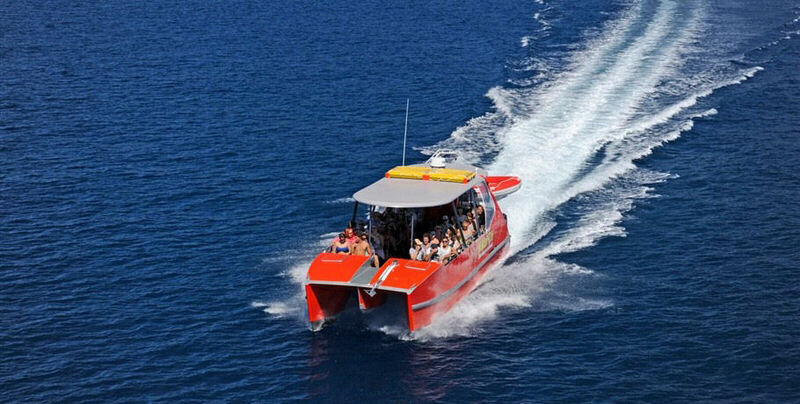 Race through the waters in this powerful bright red vessel to your two snorkelling destinations and the world-famous Whitehaven Beach. 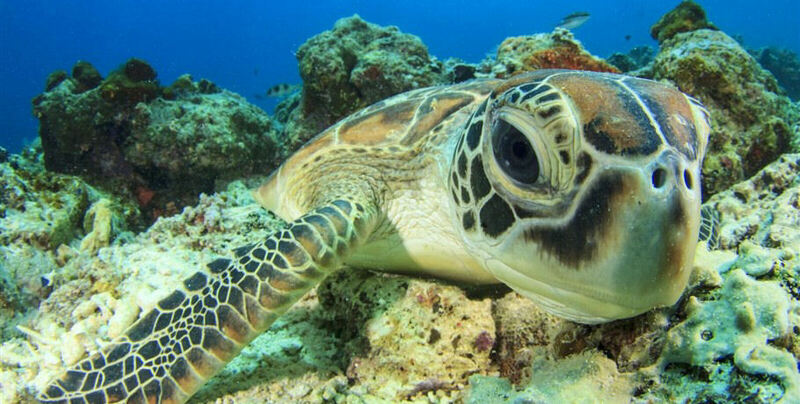 You will enjoy a buffet lunch, morning and afternoon tea between snorkelling opportunities at Mantaray Bay and Langford Reef (or alternatives weather depending). 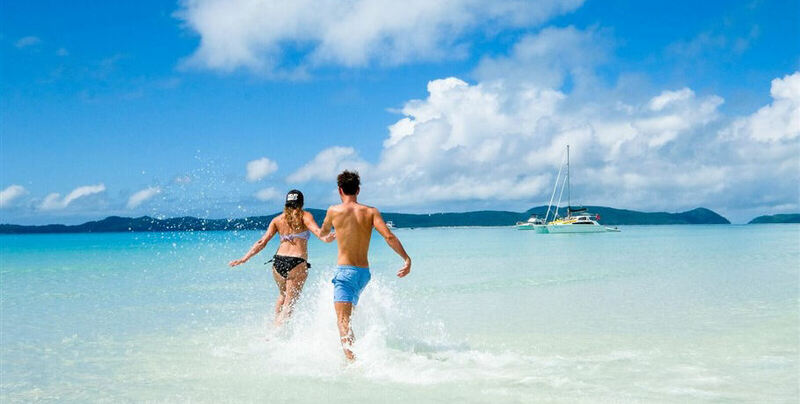 The Thundercat Whitsunday Day tour has also has access to get up close and personal with the swirling white sands of the Hill Inlet, Whitehaven Beach. This is where you will be lucky enough to enjoy your beach time. 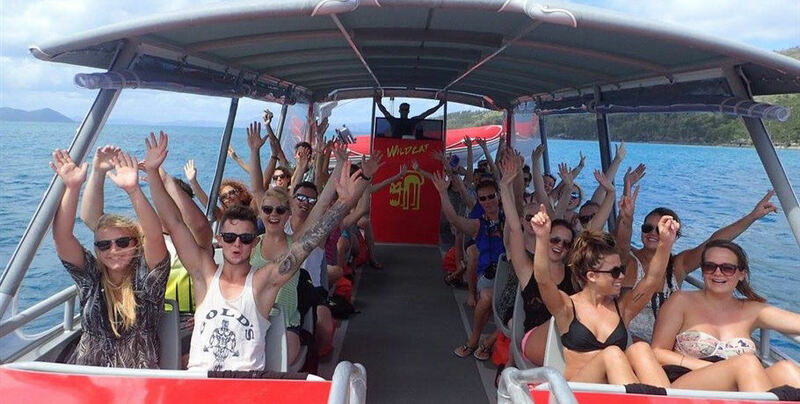 Thundercat offers a courtesy bus to collect you from your Airlie Beach accommodation and deliver you to the departure point at Abell Point Marina. Here you will be greeted by your friendly crew of two who will check you in and size you up for your stinger suit. 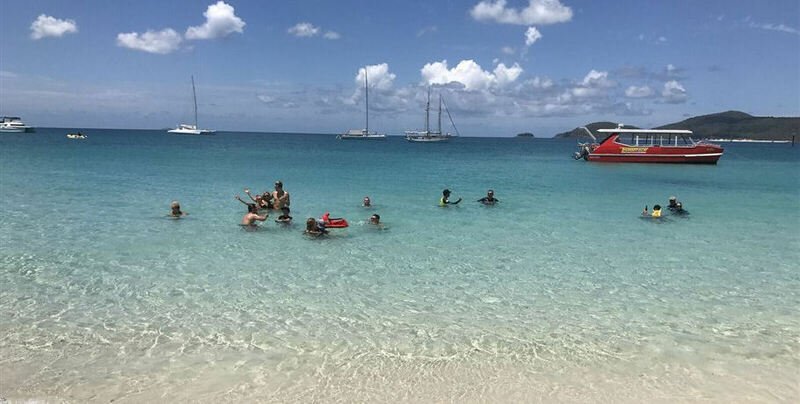 Hop aboard the fastest catamaran in the Whitsundays and soar across the Whitsunday Passage to Whitsunday Island. On the way enjoy a home-made morning tea. Your guide will take you on a bushwalk to the Hill Inlet Lookout pointing out any interesting local flora and fauna along the way. 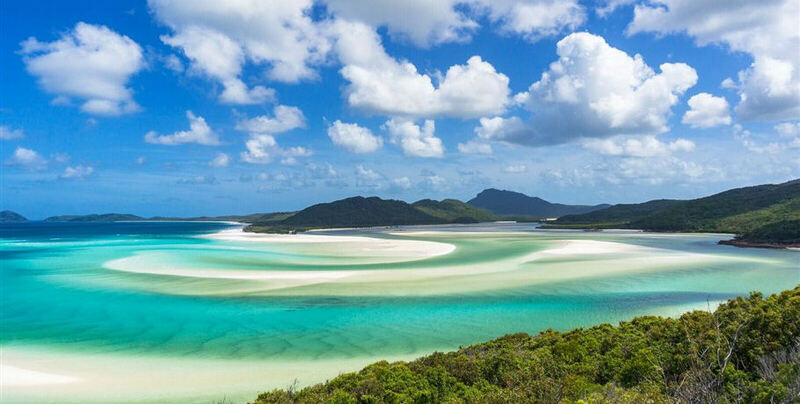 Take some incredible photographs and make your own way to the iconic Whitehaven Beach for some time relaxing on the pristine sand. 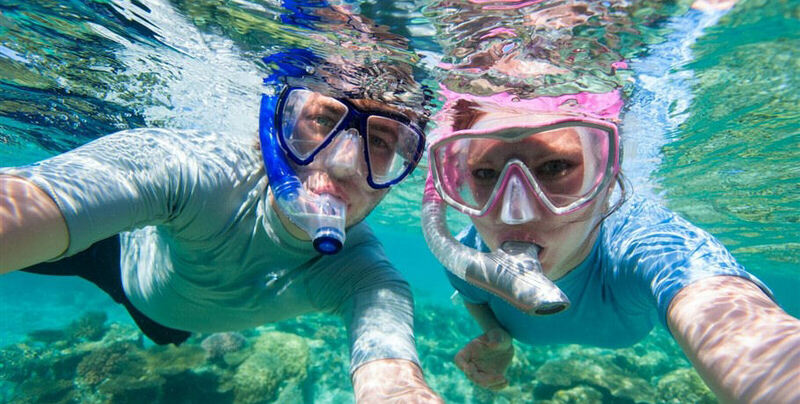 It’s time for lunch back on board and then it’s on to your two snorkelling destinations. 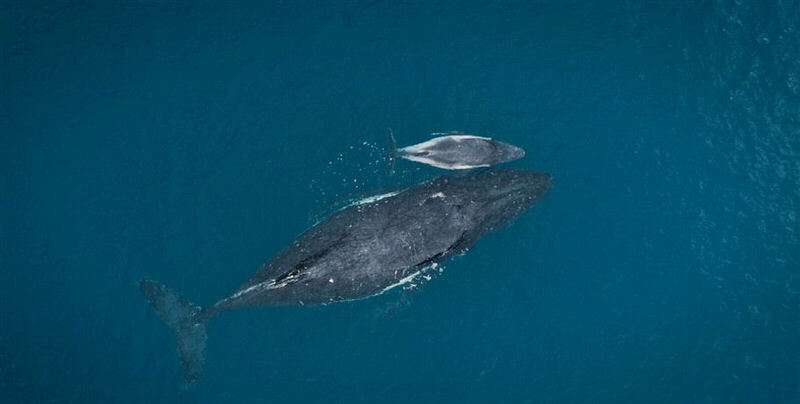 Your skipper will select from a number of beautiful locations based on the day’s weather and tidal conditions. 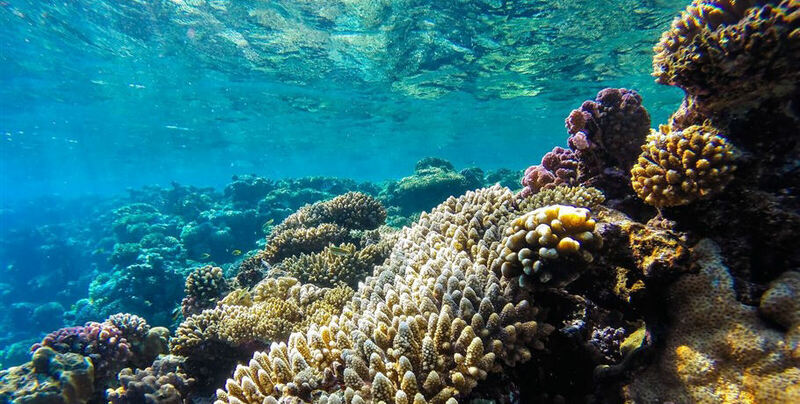 You will see vibrant corals and colourful varieties of reef fish in these stunning underwater gardens. Work up an appetite and enjoy some afternoon tea as you discuss what you’ve seen with other guests. 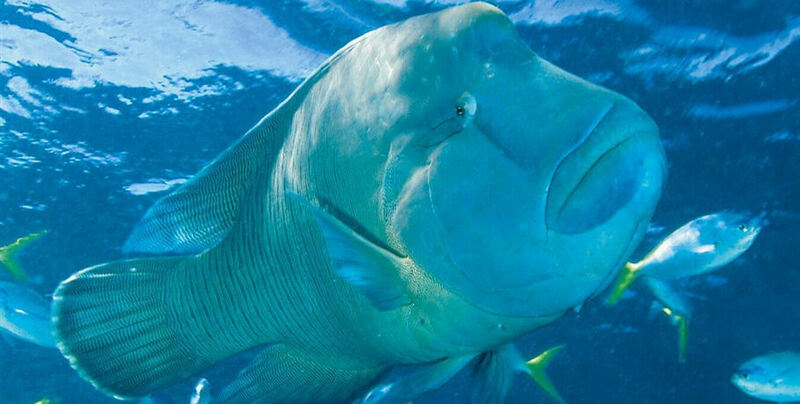 It’s time to enjoy the exhilarating ride back to Abell Point Marina where your courtesy bus awaits to take you home. Listen out for the after party often held at a local bar with discount drinks and dinner for the day’s guests.